Over fifteen years ago, I started looking into the possibility of starting a new small-press publishing company, dedicated to bringing new and unique works to the public. What was being offered then, in the gaming and comics communities, was much less diverse than what is offered now. Dozens of independent publishers are bringing their ideals of what games should be to the market, thanks, in part, to the Open Gaming Licenses and the accessability of the internet. Gamers now have access to hundreds of games, and to other gamers like never before. There are now virtual conventions where gamers from around the world can gather without leaving their homes. It's absolutely amazing how much the industry has progressed in a few short years. In the coming weeks, we hope to have more information about possible products, including game supplements, and perhaps stand-alone games. Also, we're looking into possibly publishing comic books, prose stories and novels, either online or in print editions. We would like to see this grow into its own niche within the industry, helping to bring new talent into the business, give them the experience and exposure that's needed, while providing a quality product to gamers and readers. Any input that you have would be welcome and appreciated. This is, after all, for you, the gamers. William A. Rae, president, Sacred Wolf Inc. Check the Updates page for news and information. See our products at RPGNow. Looking for something? Do a site search to find it! Looking for great gamer's T-shirts? Check out Pair o'Dice Gamer Gear at www.thepairodice.com. They'll treat you right. I've switched forums. Click here to check 'em out. Info and announcements are there, and general posts are welcome. The d20 version of Overworld is here! Get your copy at RPGNow.com at 33% off! Click here to take advantage of this special offer. Click the cover for more info on "Iron Gauntlets"
Looking for a fantasy game that doesn't rely on levels or a complex 300-page rulebook? Check out Iron Gauntlets from Politically Incorrect Games! It has the feel of the old-school RPGs, with an easy-to-use system (which are universal for any genre). We're working together to bring the Seipeal de na Nathrach series to you for Iron Gauntlets. Part 1, "The Hidden Temple" is available at RPGNow.com for $3.50. For a sample, click here. 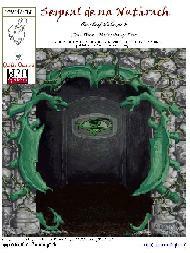 Part 2, "Shadow of the Serpent," has just been released, and is available at RPGNow.com. Click here to check out a sample. It can be played as a stand-alone adventure, or as part of the story arc. Keep checking RPGNow.com for the latest in the Seipeal de na Nathrach series. Support indie RPGs. (Or vote for us in the awards.) Register at Indie RPG Awards, and check out "The Hidden Temple (for Iron Gauntlets)." Click here for info. Available now in *.pdf at RPGNow.com! The world is insane. People live blissfully, willingly, oblivious to what is really happening around them. No one knows or cares about the odd things that occur occasionally, right? The strange happenings in the headlines-- they're only to sell papers. If they are happening, it's because someone went off the deep end. They have to be. Because the truth is far too dreadful. There is an invasion happening. We're driving it. But someone else is controlling it, calling the shots. Behind the oddities, sheltered by the conspiracies, one group is seeking absolute control. They want to bring our darkest dreams to light. They want the power of Creation. 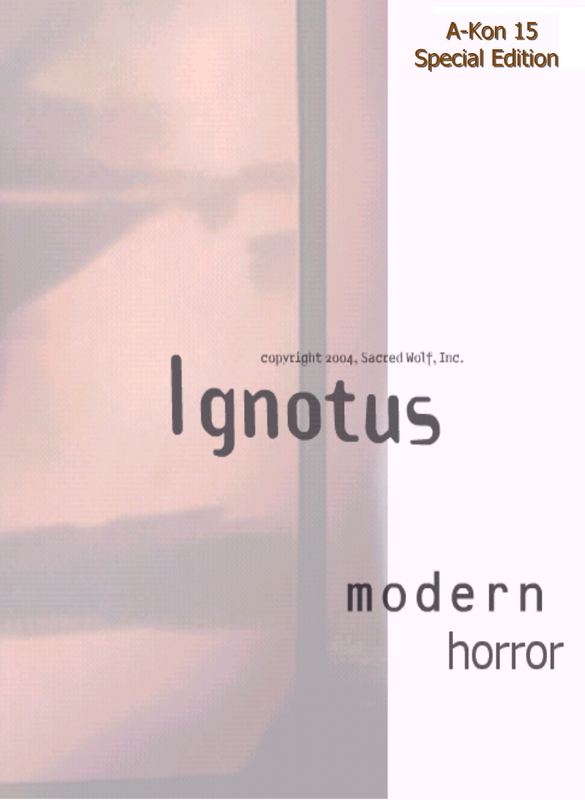 Ignotus for the modern d20 system. Your nightmares have just come true. A limited number of special edition copies are still available! To find out how to get yours, click here. 7 new feats and a new character class are now available for free! Go to Ignotus or "Free Stuff" to get them! copyright 2004, Sacred Wolf, Inc.
Want to see Seipeal de na Nathrach in action? Check it out at Wizard's Repose, the only PBF campaign authorized to use Seipeal. See the d20 Open Game License here. The wait is over! The first installment of Seipeal de na Nathrach has just been released. Click on the cover to see the trial version, or click here to buy the first D20 fantasy adventure from Spider Dreams! Available at RPGNow.com and RPGMall.com! 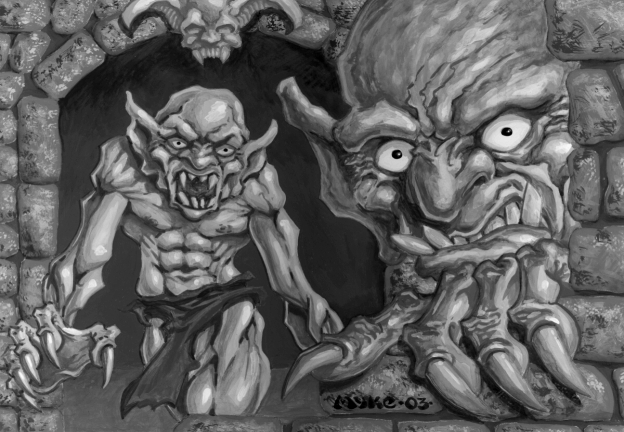 Spider Dreams: The Best of 2003 (and New OGL Material) is now at RPGNow. Slade Stevens' ...Overworld Starter Pack and The Metagenics are now available for download! The Consumer-Associates is out now, as well. Get the new supplement to Politically Incorrect Games' Active Exploits system here. Or click on the ...Overworld image below. We'll be adding new stuff over the next few weeks, as we gear up for the Slade Stevens' ...Overworld full version for the d20 system. If you like the Active Exploits system, don't worry-- we have plans to expand the game setting for that system, as well. Check back for more developments!